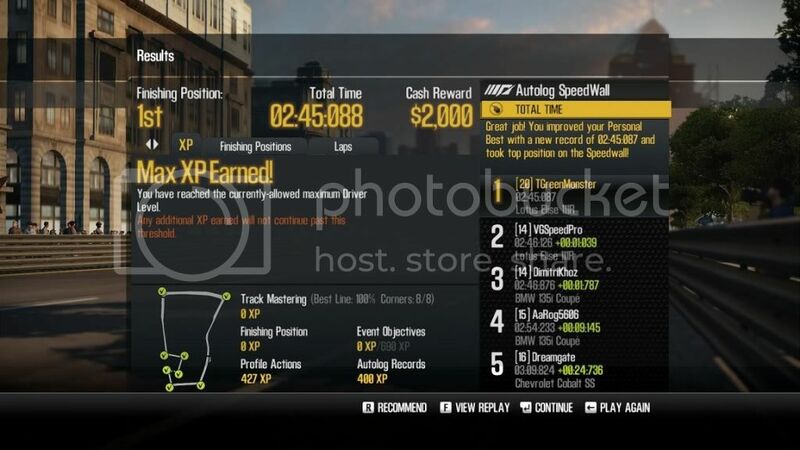 How about we require these screenshots for PBRC races? They have everything we could need, total time, car, sectors and each lap time. There you go old buddy, does that look ok with you? Jussi, what do you think? Should anything be added? 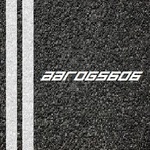 We don't need best lap time if your pictures provide it.. and when I resize my picture I'll make them bigger i use paint brush and resize them from a fraps snap shot down 60% I'll try 40% next time so they are bit bigger. Aaron's screens are pretty good. 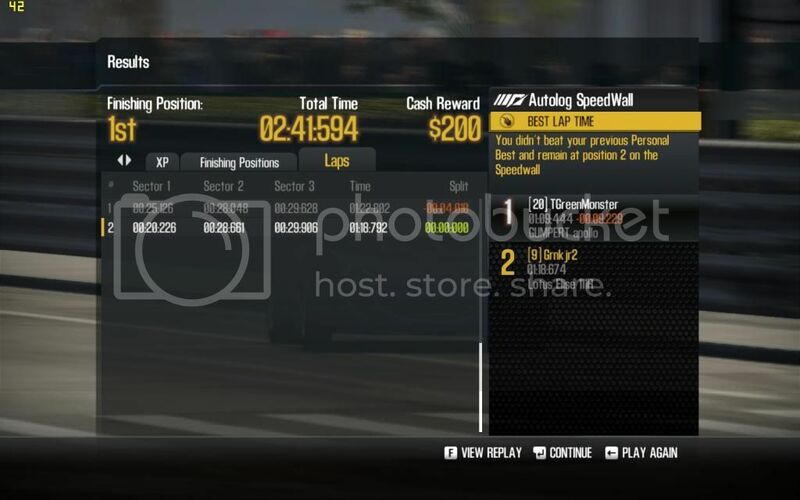 First one shows Total time and car and the second one shows laps, but I think it only shows the rating, if the time is personal best. Yes Jussi, i dont know what to do about proving car rating. 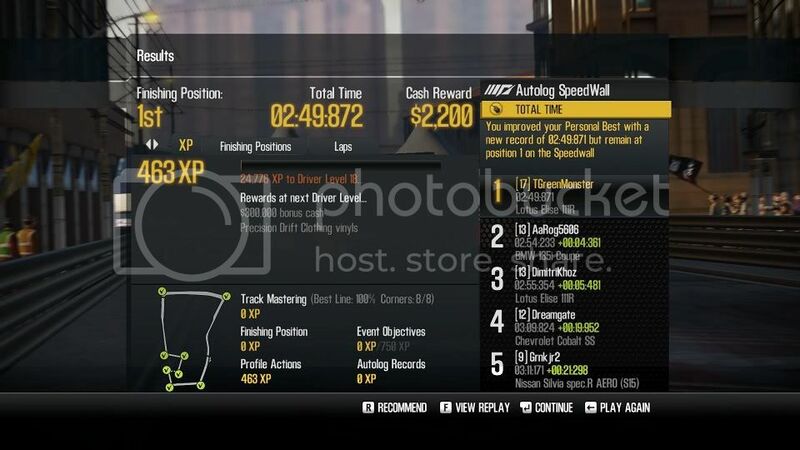 Once we set lap times with faster cars, those times will be shown with that cars rating. 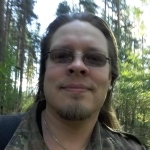 Sunny, use the 16:9 code Jussi put under the pic on the first post, if you need help with it let me know. Sorry, your just going to have to keep trying. 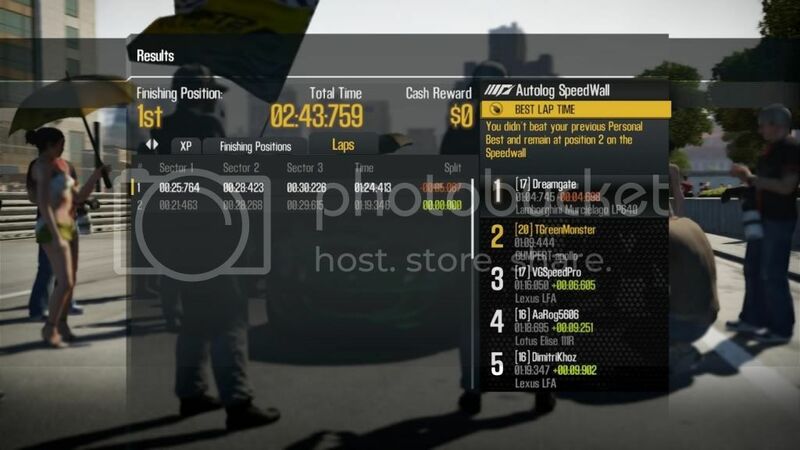 I raced the right track, but i did it in quick race. Your looking at career stats. Edit - I posted a similar time in career, just for you old buddy. Because you cant always see the car in the background. You can't see it because your color blind the rest of us with ok vision can see it..
what all that stuff on the right it doesn't even apply to this track.. I do not know if nitro is allowed in this event, but this is without.